Kick off Design Week Sacramento at our pop-up market featuring 12 local designers and artists from 12-4 pm, and hang around for our Opening Party at 6 pm! Both events will take place in Urban Roots’ Barrel Room. Thank you to our friends at Urban Roots! We partnered with Shelf and invited the design community to apply for our Meet the Designer event. Originally, we were only going to feature two designers, but Gabriela & William at Shelf were kind enough to open their space up for FIVE designers! Thank you to William and Gabriela at Shelf! Interested in joining as a Sponsor? In-Kind Sponsorships are available! Find out more here. Four local agency & studio owners share their experience of running their own design and architecture businesses. Meghan Phillips from Honey, Paul McClure from RSE, Ryan Vanni from Bukwild and Gennifer Munoz from GEN M ARCHITECTURE will all speak on the panel. Estelle Saltzman, Board Advisor at RSE will moderate. Enjoy bagels from Solomon’s Delicatessen! Find out more about our speakers! Meghan Phillips is the Founder + CEO of Honey. With nearly two decades of experience in marketing strategy and driving creative campaigns, Meghan brought Honey to life in 2008 with the mission to combine marketing and design under one roof for the food, beverage and ag industries. Meghan leads the dynamic, talented team and has positioned Honey to highlight Sacramento as a city with incredible design talent. Paul is one of the owners and Director of Advertising for RSE where he develops campaign strategy, oversees creative and media services operations and helps develop new business. Paul’s 34-year career in advertising and marketing started in San Francisco where he was part of the team responsible for two of the most successful package goods product launches of their time: Orville Redenbacher’s Microwave Popping Corn and Bartle’s & Jayme’s Wine Coolers. Upon moving to Los Angeles, Paul led the business for Bally’s Total Fitness (the precursor to 24-hr Fitness) and spent five years as Account Director for Albertson’s Grocery. His ad agency experience includes time at Ketchum, Hal Riney & Partners and J. Walter Thompson. 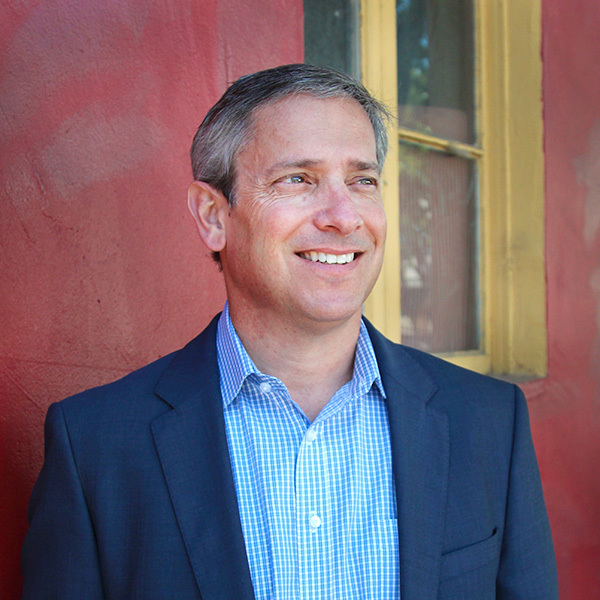 After moving to Sacramento, Paul became an owner of Glass McClure Advertising until the company was sold. Shortly after, he joined RSE. Throughout his career, Paul has consistently given back to the community. He has served on many boards and committees. He is the current Board Chair of Cristo Rey High School and is the past Board Chair for Wind Youth Services, the Sacramento Ad Club, and Business Volunteers for the Arts. He has also been a board member of the San Juan Education Foundation, The Sacramento Jazz Society Foundation, and The Positive Coaching Alliance, and twice led the marketing committee for United Way. He spent thirteen years coaching his kids’ soccer and little league teams and volunteered for any classroom activity, field trip or school fundraising drive. Along with his wife, they have served as parent connectors for their children’s Universities. Paul is a graduate of UC Davis, where he met his wife of 30 years. They have three children…two who have graduated from college and one with 4.25 semesters left ...but who’s counting. Paul enjoys most anything outdoors with a fondness for the American River, Yosemite, biking, fly fishing and gardening. Gennifer “Gen” Munoz is a licensed architect and opened her practice, GEN M ARCHITECTURE, in January 2018. 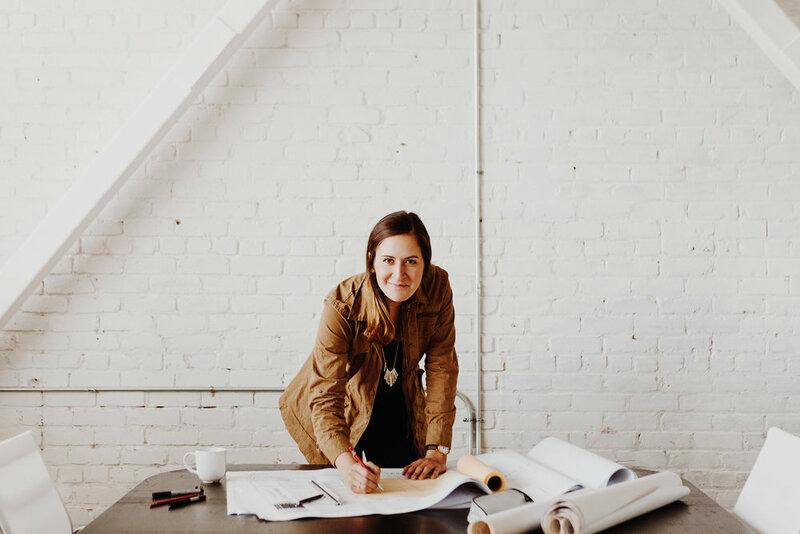 Her Sacramento based firm specializes in contemporary residential, multifamily and mixed-use projects. Gen is a licensed architect with over 10 years of experience in residential, commercial, developer-driven, and large-scale architectural design, project management, and construction. She holds a Masters of Architecture from UC Berkeley College of Environmental Design and a Bachelors of Science in Architecture from the University of Virginia. Gen teaches interior architecture at Sac State and has taught design studios at UC Berkeley and UVA. Her involvement in the local AIA chapter focuses on Housing and Equity in Architecture, and she hopes to uplift and empower women as leaders in design and business through teaching, mentorship and work in the community. When not focused on orchestrating construction drawings, she enjoys roller skating on a half pipe, film photography, cooking, and remodeling her 100 year old bungalow. 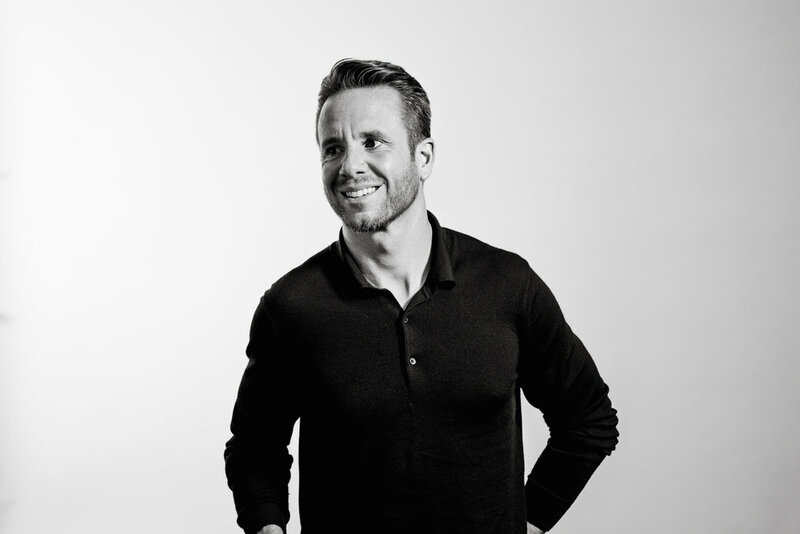 Ryan Vanni is the Founder and CEO of independent brand and product experience studio Bukwild, a team of entrepreneurs, strategists, storytellers, visual designers and technologists that have helped define and launch some of the worlds most inspired and disruptive brands. 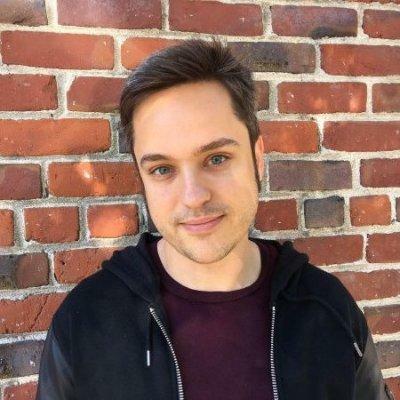 He is a passionate advocate for helping innovators uncover and communicate their purpose and value to the world, working with everyone from Amazon and Hershey's to Pandora and Fitbit. Since founding Bukwild at the age of 21, Vanni’s role has evolved and grown from handling day-to-day operations to being a guardian of the agency’s uniquely open-hearted spirit, helping to foster a culture that proudly embraces quality of life in addition to good work as a part of its DNA. 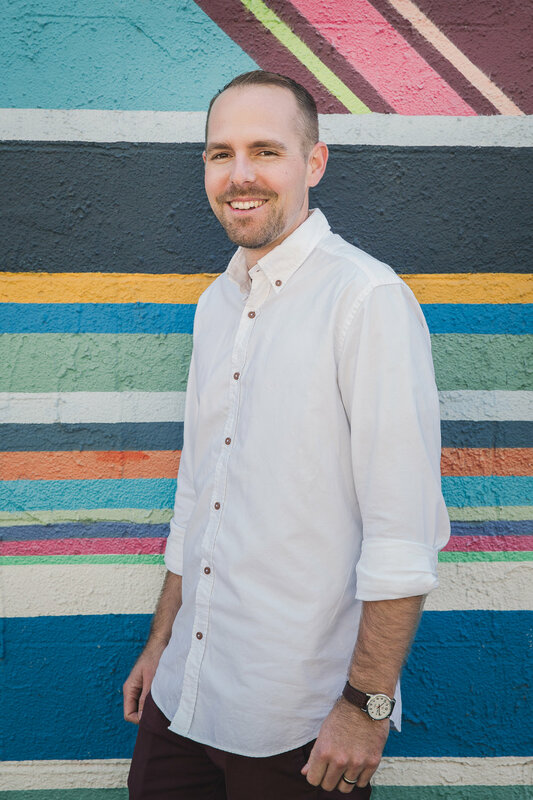 Forever curious and engaged, he oversees the direction of the agency while working intimately with clients to help them find their voice, communicate their beliefs and and passions, and earn the right audiences. A career entrepreneur, Vanni also co-founded two SAAS-based companies; merchandising platform Elastic Suite and Wonderful Union, a company that helps musicians connect with fans in a digital environment, boasting 300 clients including The Eagles, Nicki Minaj, My Morning Jacket, and Britney Spears. When not with his family, Vanni can be found cycling, having participated in several Ironman competitions. Estelle Saltzman, a former newspaper reporter/writer who became a public relations writer, account executive, owner, president and board chair of Sacramento-based Runyon Saltzman, Inc. (RSE), joined forces with company founder Jean Runyon in 1972. Hard work (24-7), determination and undeniable luck paid off, allowing the multifaceted communications firm to attract highly talented marketing-savvy advertising, public affairs, public relations and creative professionals plus a wide range of all-important clients. In the early 1980s, Estelle’s keen interest in and knowledge of community social and political issues propelled the company into the field of social marketing, which spotlighted ways to correct social ills. That practice area pushed the firm, which had started with five employees, into significant expansion. Community service was always a huge part of Runyon Saltzman’s identity and today Estelle, who retired in 2017, remains active as a member of the boards of Opening Doors, Inc. and Restoration House. Formerly, she was a board member of the Crocker Art Museum Association for 10 years, a longtime board member of the national Junior Statesmen Foundation and on the board of the California Automobile Association for seven years. Thank you to Honey’s support, this event is free! Learn more about the speaker! Marcy is a veteran designer, educator and design cheerleader. She has spent more than 20 years creating visual experiences that engage and delight. Since 2008, she’s taught courses in graphic design and professional practice to more than 700 eager students at UC Davis, Sacramento City College and Sierra College. Never without a side project, her newest adventure is coaching creatives to find purpose and meaning in their work. Join Sac DESCO for a low-key chat with local designers and learn more about navigating the design industry. There’s still time to sponsor this event! Find out more here. Thank you to our friends at Sac DESCO! 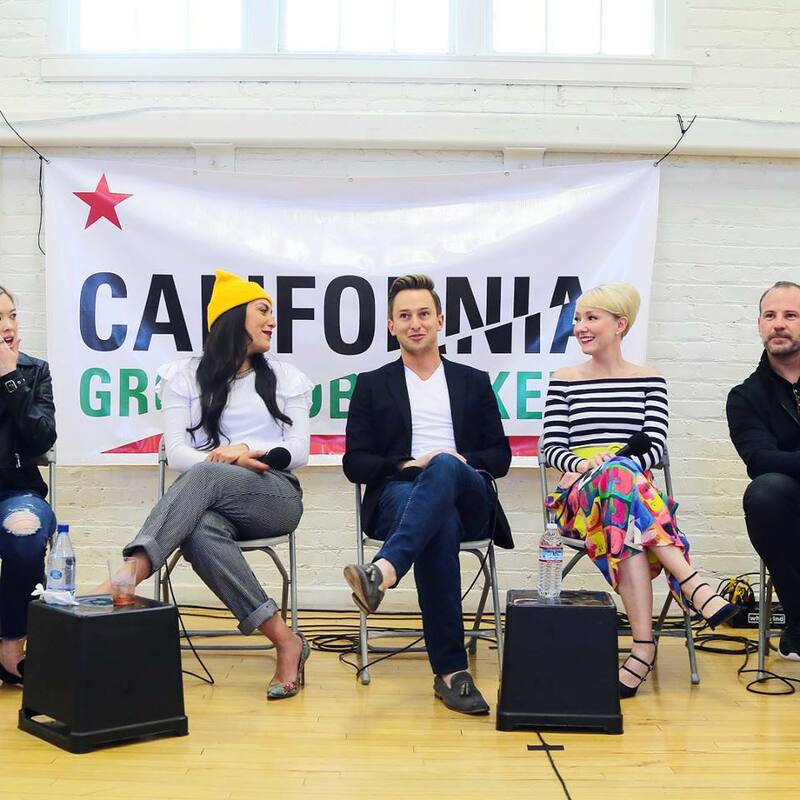 Panel of four local designers that will discuss the benefits that cannabis have on them as designers. Stick around for the pop-up Shop after the panel! David Angstead is an independent designer based in Northern California. Focused on visual identities, brand strategies, packaging, marketing strategy, art direction, Illustration and design consultation. My clients have ranged from Multi-million dollar corporations, non-profits, small businesses to start-ups including international businesses. As a lover of the Arts and Nature, I dabble in everything from photography, painting, graphic design, cooking, growing my own veggies and maintaining my massive succulent garden (which is featured in my blog!). Along with my amazingly talented other half and fellow creative, we have three incredible boys, a 5-year-old, 2-year-old twins, and a Creative Agency Elephnt Prnt. They keep us busy and our household slightly chaotic, but it all works because it’s a house full of love! I enjoy solving problems through creativity, discovering new things, and meeting new and progressive people. Curtis Currier is a born and raised Sacramento creative. Hailing from the days of skating downtown when it was still sketchy, and running around with backpacks full of PBR on 2nd Saturdays, he has always pulled his creative passion and energy from this city. Curtis spent much more time than necessary taking various classes from all the Los Rios colleges, freelancing design work, and then finally graduating from CSUS’s Design Program. From there, he continued freelancing and working in the tech industry before stepping away and deciding to partner with longtime friends and fellow Sacramento creatives to start their own design and marketing firm, Yellow Brick Group. YBG (Yellow Brick Group) is responsible for the creation of "OUR Street Night Market” and represents some of the leading brands in the cannabis industry, such as Connected Cannabis Co and Alien Labs.” Curtis Currier is an all-around creative, with an undying passion for design, who believes that one never stops learning. Join graphic designer, illustrator and activist, Adriana Arriaga, in exploring different ways to design for vulnerable communities. Her work has helped represent and give voices to vulnerable groups in her community. Learn more about our workshop leader! Adriana Arriaga is an activist, artist, and designer whose work reflects her culture, community, and personal experiences. Arriaga shares her work in different environments such as art shows, the public, and online. Arriaga’s work is mostly colorful vector illustrations that are based off of photographs she takes herself or personal drawings. She studied Design and Mexican-American Studies at San Jose State University and is finishing her Master of Fine Arts in Design at the University of California, Davis. After graduating she hopes to create a space where Creators of Color can come together and create for social good in their communities. A panel that is geared towards high school students and anyone considering a path in design. Hear from faculty at Sacramento City College, Sierra College, Sacramento State and more! John P. Forrest, Jr. is a Professor of Graphic Design and Chair of the Department of Design at Sacramento State. His teaching career spans 18 years and three institutions. In addition to his 15 years at Sacramento State Professor Forrest taught as a full-time lecturer at Cuyahoga Community College and as an adjunct faculty member at Kent State University both in Ohio. Along with his teaching an administrative responsibility at Sacramento State Professor Forrest continues to his professional practice as a partner in Interval Press, and principal designer at Forrest McClain. Professor Forrest is a graduate of Kent State University's School of Visual Communication Design. Christopher Terrazas is the director of creative services for 3fold, leading the creative team in developing audience-focused concepts and campaigns that not only look good, but achieve results. He brings more than 15 years of experience to our clients’ projects, including combining strategic marketing plans, identifying audiences, crafting targeted messages, selecting appropriate media under tight deadlines, and assessing success. He was fortunate to work at prominent shops in the Los Angeles area, such as J. Walter Thompson, DavisElen Adertising, Omelet, E! Entertainment and in the entertainment industry at Sony Pictures Home Entertainment and MGA Entertainment, makers of Bratz Dolls. At these places, he was able to develop his skills in Production, Account Management and Creative. Chris has overseen recent creative projects for clients including SouthEast Alaska Regional Healthcare Consortium; Western Placer Waste Management Authority; City of Roseville Environmental Utilities and Electric; Electrify America; Gig Car Share; City of Stockton; Carson Valley Medical Center; Los Rios Community College District; and Southwestern Community College District. Lauren operates at the intersection of design + technology, bringing together creativity and technical excellence. A true geek, Lauren has designed, built, and deployed web-based products for over 20 years. Since graduating from UC Davis, where she studied Design and Managerial Economics, Lauren has worked on projects for Shutterstock, Gensler, Wells Fargo, HP, Intel, McAfee, Maxim Integrated, Intersil, Kaiser Permanente, Sutter Health, Thomas Jefferson University Hospitals, UC Berkeley, UC Davis, the University of Technology in Sydney, and Stanford University. In her free time, Lauren created Surveyor, an iPhone-based application designed to streamline the process of auditing physical spaces in environments such as hospitals, health-care campuses, retail stores, and universities. The app is tied to EAMS (Environmental Asset Management System) - a custom, cloud-based management system that she developed. Lauren currently serves as the Development Director of Design Week Sacramento. She also served as the San Francisco Chapter Chair of SEGD and on the board of AIGA SF as the Programming Co-Chair. Explore how to include interactive elements in your printed work, using InterApp’s technology. Bring your phone, laptop, a printed piece of your work and your imagination! Brown is a native of Sacramento and graduate of Sheldon High school. As captain of his wrestling team and an active wrestling coach, he has developed leadership and communication skills that helped win two championship league titles. In the business world he has taken those same skills and applied them to building a dynamic and effective team that has helped numerous businesses across the region brand and market themselves by utilizing the products and services that his first business Full Color Business Cards and Flyers provide. Wanting to add value to his customers and stay on the cutting edge of technology was the inspiration to what formed his new start-up company InterApp Inc which is focused on building products that enable people to interact and be engaged with visual and advertising graphic of brands, businesses and advertisers by using augmented reality through camera enabled smart mobile devices, their company product includes InterApp an iOS/Android application. Overview of technology and hardware available at library branches for prototyping. Hands-on workshop on CAD and 3d printing. Design your print jobs at the library and queue them to the printers for pickup on a later date! Meet us at Uptown Studios for a studio tour! Uptown Studios specializes in designs for social change. Check out their work and see their space! Stick around for the FREE High School Student Exhibition, and enjoy fancy alcohol-free beverages! Find out more and RSVP for the exhibition here. Join us at the gorgeous Prickly Pear for this fun workshop! Erin Alderson from Grove Haus will show us how to style our food like a pro! Thank you Erin for your generous donation towards this event so we could keep it free! Learn more about your workshop leader! Grove Haus is a California based studio that captures the story of our food and farms through photography and videography. Erin Alderson, the owner of Grove Haus, has spent the past decade focusing on sharing the beauty and deliciousness of food through photography and recipes. Erin's work has been featured in numerous national publications, books, and on a range of food and lifestyle websites. While researching event venues, our founder came across this Comstock's article about Marvin Maldonado, and worked with his team to create this event after reading his story. 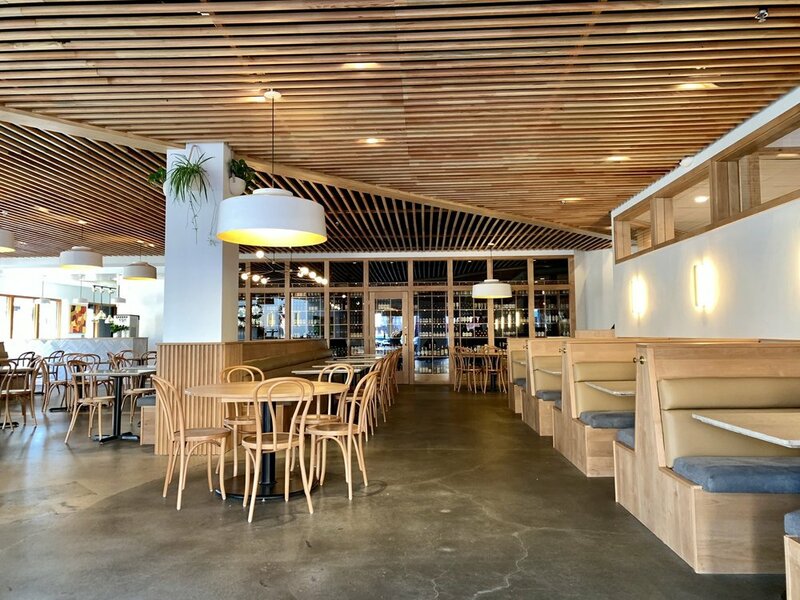 Get a look at Federalist before the crowd arrives and listen to Marvin (who also just opened Neighborhood Pizzeria) talk about how his life led him to open a restaurant out of shipping containers. Enjoy $3 drink specials and flatbread and cookies! The kitchen and full menu start at 4:30 pm, when the restaurant opens. Thank you, Marvin and the Federalist crew! Meet us to tour design firms along the R Street Corridor, then join us for special Design Week Sac libations at Bottle and Barlow! This ticket is for the Thursday studio tours along the R Street Corridor. The estimated walking distance will be approximately one (1) mile broken up between tour stops. Detailed walking instructions TBD. After hosting the Food Styling Workshop, Erin Alderson will be hosting us at her studio - Grove Haus - for a special Open Haus! Learn more about Grove Haus! Hear from the chef/owner/developer/interior designer of a restaurant and learn about the complexities of designing a food destination, as well as an opportunity to try some of the food. The event starts off with small bites, followed by a presentation and tour. With a BFA in Graphic Design from Kendall College of Art & Design and a background rooted in design thinking and concept-driven design, Ashley leads the Honey design team in creating innovative and strategic work. Drawing from her experience working in various studios in Grand Rapids, Monterey, San Francisco and now Sacramento, she brings a holistic approach to design, starting with extensive visual research, culminating in process-focused design strategy which is unique to each project she oversees. Ashley is committed to empowering the design community in the Sacramento region. She has spoken at events to include the Emerge Summit and Design Week Sacramento on the topics of collaboration in the workplace and women in design and leadership. She seeks out local design community events, volunteering and mentoring others within her field. She continues to work closely with Design Week Sacramento with the ultimate goal of celebrating good design in the Sacramento region and inspiring the local creative community to come together. WOOL is a multi-disciplinary design studio based in Sacramento, the collaboration of friends and designers, Emily Wilder and Kaila Niles. We focus primarily on interior design, brand development and creative consultation. Thank you to AIA Central Valley for sharing this event with us! Interested in joining as a Sponsor? Sign up to offer Event Support or an In-Kind Sponsorship! Join us for a panel discussion on the topic of designing with beer in mind! Get the perspective from local designers, a brewery and a Creative Director at Lucky Clover, a canned beverage packaging business. Enjoy food from Squeeze Inn! Kilian McMann, Great Raven Design Co.
Kilian McMann is the founder & creative director of Great Raven Design Co., a one man creative studio specializing in edgy illustrations and hand crafted logos, primarily for the craft beer industry. Lily is a designer, illustrator and independent maker based in midtown Sacramento. A UC Davis graduate who grew up in northern California without electricity, she now spends most days creating on a computer with her pug Stanley at her side. From mural design to creating enamel pins, Lily deems humor, hard work & humility central to her creative approach. Emilee Rudd is an award-winning multidisciplinary creative who believes that inspiration lies at the confluence of art and design. Whether it's branding, lettering, packaging, illustration, murals, or more—she’s excited for whatever creative challenge comes next! 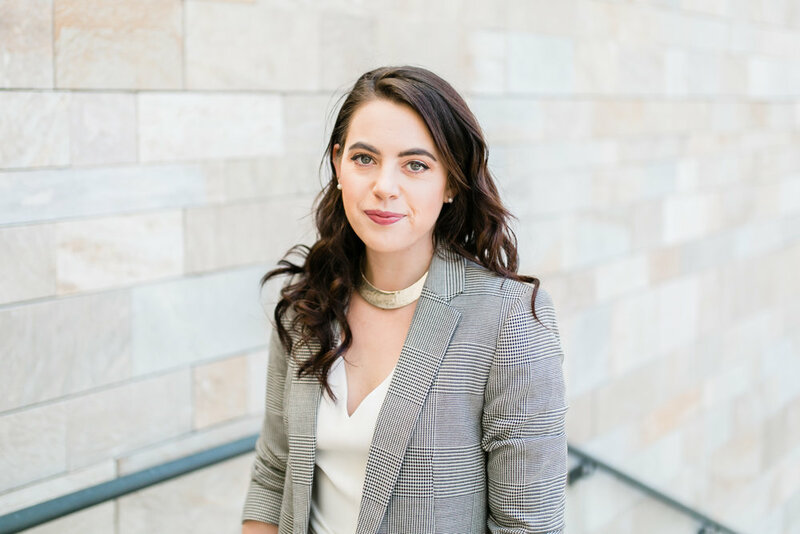 She's had the pleasure of working with a range of clients, events, and projects from hometown favorites like Sactown Magazine and Downtown Sacramento Partnership, to national and international collaborations with wonderful folks like Houghton Mifflin Harcourt, Sunset Magazine, and Papyrus. In her free time, catch her sketching by the American River and feeling incredibly grateful for the good people, opportunities, and coffee that life has thrown her. 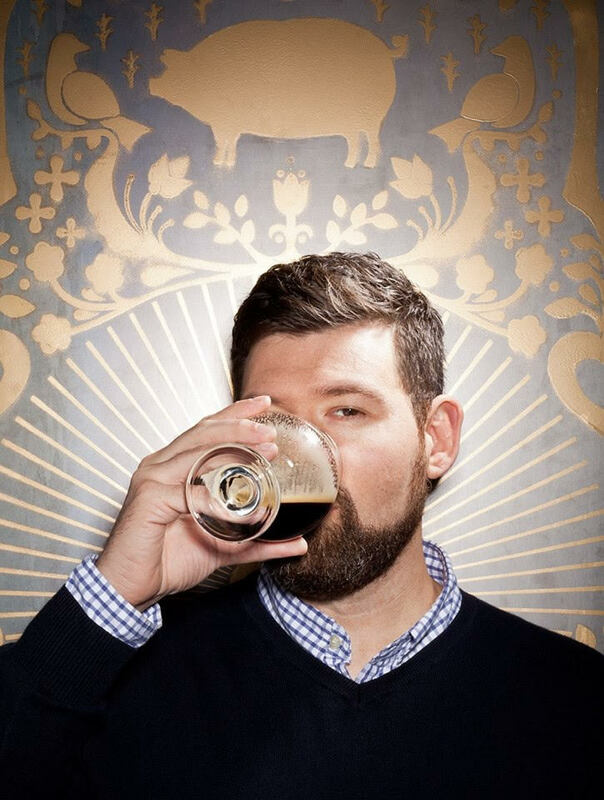 Chase Daley is the Art Director at Lucky Clover Packaging, a materials supplier to the craft beverage industry. There, he’s helped establish an in-house art department, that works closely with international, national and local brands to ensure beverage labels are designed and approved in a way that stands out on retail shelves. Previously, Chase worked as a Production Artist for Custom Ink, an e-commerce retail company offering custom-designed t-shirts and marketing materials. He graduated from the College of Liberal Arts at University of Nevada, Reno with a dual degree in Digital Media and Advertising. Chase Daley has spent nearly a decade in and out of the restaurant world, working as a chef and Sommelier, lending him extensive knowledge of beer, wine, and craft cocktails. With his partner Abbie, Chase started a new venture, Bar Baby Co., bringing their love of craft libations to the Sacramento scene. Bar Baby Co. provides a carefully curated craft beverage experience for public and private events, often sourcing local ingredients to better represent a regional/seasonal focus. They’ve converted an old, rusty horse trailer into a stunning mobile bar, rolling around all of Northern California slinging drinks. Meet us at Scribe Creative Agency for our final Design Week studio tour! Then, Help us close out Sacramento’s first Design Week! Phil is a third generation Sacramentan. He studied at California State University, Chico where he earned a BA in Communications & Graphic Design, paired with a Minor in Marketing. He has strategized and designed for clients large and small throughout Northern California for the past 17 years, nabbing a few awards along the way. Phil is now the Creative Director at Position Interactive, a full service creative agency focusing on digital and print solutions for the best clients in the area. He is a founding member of Metro EDGE and now serves on the Metro Chamber Foundation Board. He has Chaired the Metro EDGE Communications Committee and Emerge Summit. In 2011 he made a few new friends in the best Leadership Sacramento class ever. After speaking at the inaugural CMND SHFT conference, he co-founded a Creativity+, an organization dedicated to championing and inspiring creativity in Sacramento. He is currently seeking final funding for a small-scale, public art project that will connect the heart of the city through a series of sculptures, called Characters on Kay. Comstock’s Magazine recognized Phil as one of Sacramento’s Hottest Young Designers in 2013. 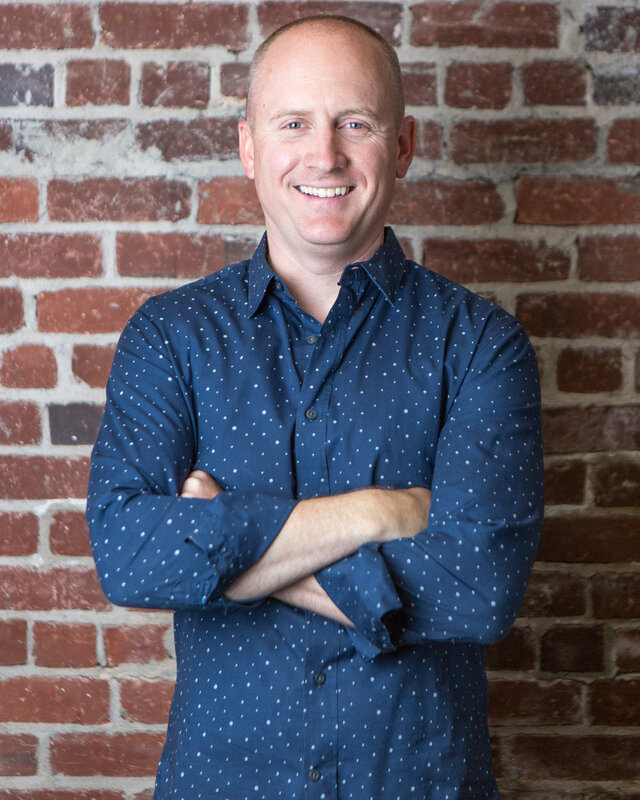 In 2014 he was named to the Sacramento Business Journal’s 40 Under 40 list. In 2015 he did not win any awards, but managed to cook a few good racks of ribs. In 2016 he made a comeback and was named the 2016 Young Professional of the Year by the Sacramento Metro Chamber and Metro EDGE. He asked his wife to marry him in the tea house in the middle of Emerald Bay, Lake Tahoe. They now have two amazing kids and are living happily ever after. 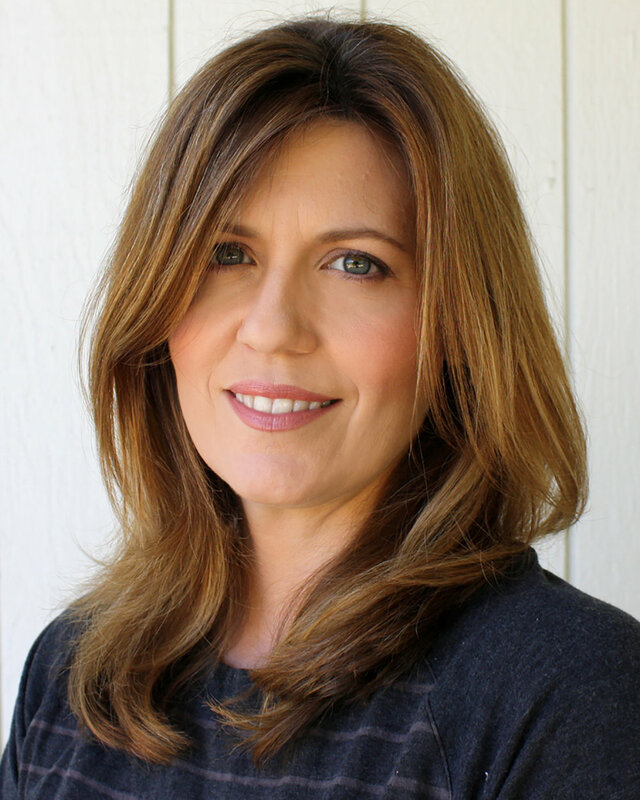 Heather has worked with Sacramento area businesses and organizations since 1999 creating and maintaining brand strategies. In 2016 she merged her skills in design, branding, marketing and visual storytelling to found Social Crows, LLC a comprehensive social media content and management company. Since moving to Sacramento, Heather has actively participated in creative and design communities, volunteering with ADAC (Art Directors & Artists Club) in the early 2000’s and co-creating Creativity+ in 2016 with Phil Tretheway and Tamara Lawrence. Rebecca Plumb is a multi-disciplinary designer and owner of Studio Plumb She works to create design that reflect the people using them, whether its a home, commercial space or personal branding. Her style is best described as “collected eclectic,” combining vintage classics with modern pieces and meaningful objects. She strives to bring personality, character and color to each of her projects. She lives in Carmichael, CA with her design-agnostic husband, 4-year-old daughter and obnoxious Labradoodle. She is also the founder/host of CreativeMornings Sacramento a free breakfast lecture series for the creative community. 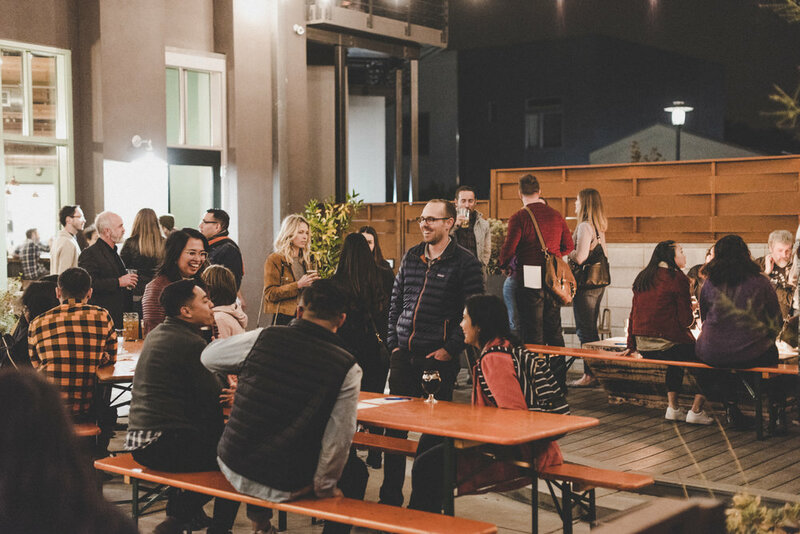 Our local chapter is one of 196 worldwide and exists to not only celebrate a city’s creative talent but also promote an open space to connect with like-minded people. Creative Mornings happen one Friday a month from 8:30am to 10am. Thank you to all of our friends! Join us for a lecture on preparing your taxes as an independent creative. Roger Beebout, is a CPA and partner at Balarsky and Beebout CPA’s, an accounting, tax, and consulting firm located in Sacramento, CA. He has over a decade of professional experience working with individuals and business owners throughout the Sacramento region. Come hang out with us for a casual happy hour at the Honey office where we'll be pouring Bogle wines and serving snacks. We're excited to introduce you to SacHacks — Sacramento's first major intercollegiate hackathon! CreativeMornings Sacramento is a free monthly breakfast, coffee, & lecture series to bring together the creative community. We focus on a different topic each month & hope you join us for some free coffee, breakfast & to talk HONESTY with guest speaker Susan Lustenberger. Doors open at 8:30a, talk starts at 9:00a sharp. Sac Desco is excited to host Digital Product Designer, Ray Sensenbach, for our first FREE workshop on “Designing Effective Dashboards”. As more people discover the benefits of cannabis and become regular consumers, companies are investing more into their marketing, packaging and branding to stand out from the pack. Network for a cause! Enjoy fantastic food and drinks from Seasons 52 while supporting Junior Achievement of Sacramento. Showcasing the broad diversity of creative thinking and driving dialogue amongst the creative class in greater Sacramento. YOU’RE INVITED TO CREATIVEMORNINGS/SCENE. Join us for an outdoor movie night on Thursday, August 9 from 6 – 9:30 pm at The Good Saint, a new event venue by N'Gina Kavookjian, one of our favorite past speakers. Wide Open Walls is a 501(3)(c) whose mission is to promote and celebrate public art. Ladies, Wine and Design Happy Hour! Hang out with other local female designers! Ladies, Wine and Design Sacramento is hosting a monthly meetup for badass female creatives! Join us for wine, food and conversation. The Sacramento Business Journal is proud to host the 23rd annual Women Who Mean Business awards luncheon! 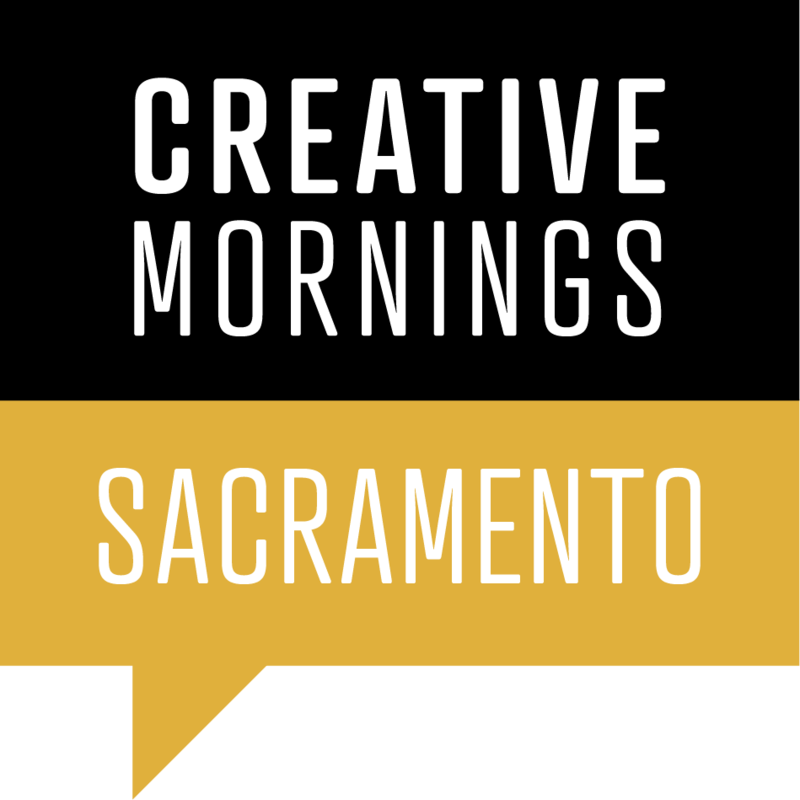 Creative Mornings Sacramento is a free monthly breakfast, coffee, & lecture series to bring together the creative community. Join us for our first committee meting! Hacker Lab includes a beautiful and comfortable workspace, blazing-fast internet, friendly staff, coworking and free coffee. This talk will cover how ad blockers works, the effects of ad blockers on your website, and their impact on revenue and third-party services like AdSense, Google Analytics, and many others. David Garibaldi is an American performance painter. His specialty is his “Rhythm and Hue” stage act in which he rapidly creates paintings of notable pop and inspirational icons. Join Tina Reynolds and the women of Uptown Studios in a whiskey, wine, and chocolate adventure to benefit River City Food Bank and Mercy Pedalers. This is an event for women by women come, network and grow. Please reach out to Kristen at Uptown Studios if you are in need of a sponsored entry, or if you have questions regarding Badass Levels.